I really thought that by now I’d be doing not much else beyond enjoying life and the stage we are in right now. After all, we finished the trial, we moved into our accessible home and Claire is on a drug that just might help with something. Doesn’t that sound like a finish line? I had promised myself that this was the finish, it’s how I kept going for the last few months. Come to find out, it’s just the middle and I have been fighting that so hard. I was really ready to take a break from learning and growing. I’m tired of the messy and ready for a little cleanliness and order. In my head it all made sense. I suppose that should have been a clue that something was wrong, things just don’t make sense, not in reality. In reality a beautiful girl with Rett syndrome passed away today. At the same time my good friends are struggling with their daughters that live with Rett syndrome. It’s just not clean. Between the picture and “The Middle” literally playing I started to think, we haven’t finished. As I listened to the song I was flooded with memories of listening to the tune back before Chrons Disease and growing up and Rett Syndrome. I would drive down Shea Blvd. at night with my windows down, wind in my hair and music blasting. I had no idea that 20 years later I would still feel in the middle, but I do. 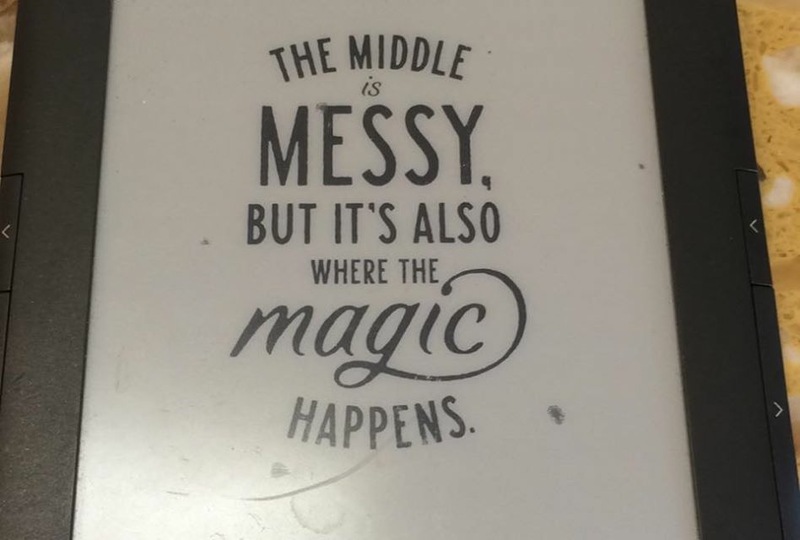 I know it’s not where I want to be but the truth is that is where the magic happens. It helps to have good friends who check in when they know it’s tough and fond memories that are accessed by random songs on the radio.